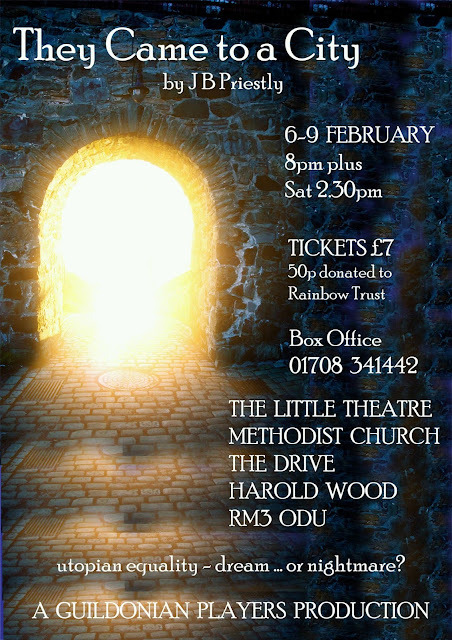 Tickets now onsale for our next production THEY CAME TO A CITY by JB PRIESTLEY. "I dreamt in a dream I saw a city invincible to the attacks of the whole earth, I dreamt that it was a new city of Friends..."
In this thought-provoking production, the many faces of British society are flung together in JB Priestley's imagined post-WW2 utopia. He explores whether positive change is possible if the social will is there. Join us on these characters' journeys and have a fantastic night out.